“Clean meat” is here. It’s real. It’s a thing. 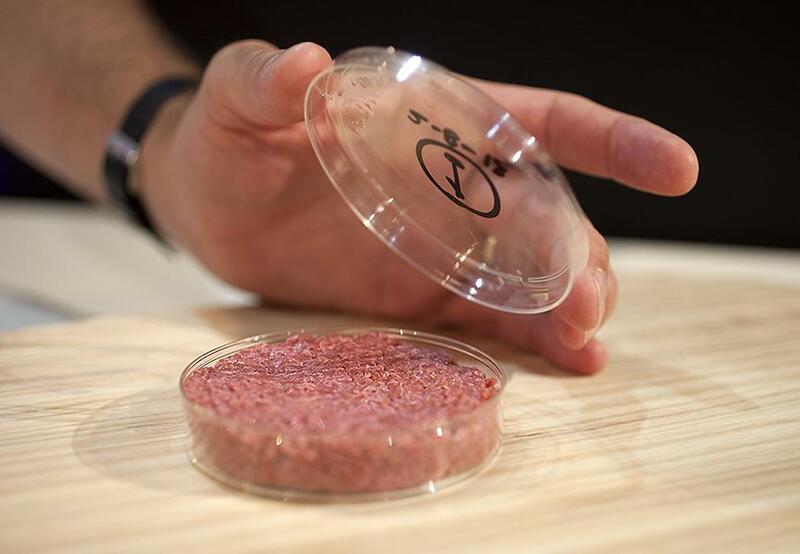 Meat grown from in vitro animal cell cultures rather than from slaughtered animals. Widespread availability may be a way off as the product is refined and scaled up, but clean meat will soon be a talking point in our discussions with the public about animal farming and plant-based eating. Development is on a fast track, spurred by investment from technology firms and some of the largest food companies in the world. It’s a daunting thought — even an uncomfortable one — for vegan activists to be thinking about the possibility of advocating for meat, and even more so if we’re not equipped with the facts about this technology. Clean meat is going to be a part of the vegan advocacy conversation one way or another, so let’s be informed and open to the discussion. Vegetarian and vegan diets are embraced more each day, but global meat consumption is still on the rise. Factory farms are entrenched in developed countries and are quickly becoming established in developing countries. The result is an overwhelming impact on the lives of tens of billions of animals every year, depletion of our finite resources, degradation of the environment at an alarming rate, and threats to human health and well-being. Clean meat technology has the potential to provide a sustainable solution to a global issue by transforming our dependency on industrial-scale animal farming. Clean meat is very new and not without controversy and questions still to come, but the subject is ripe for discussion. In August, we reported on a Faunalytics study indicating a surprising openness by the public to the concept of clean meat — even a willingness to try it and possibly pay a premium for a product that’s healthier, safer, and more sustainable than conventional meat. How do I talk about clean meat? 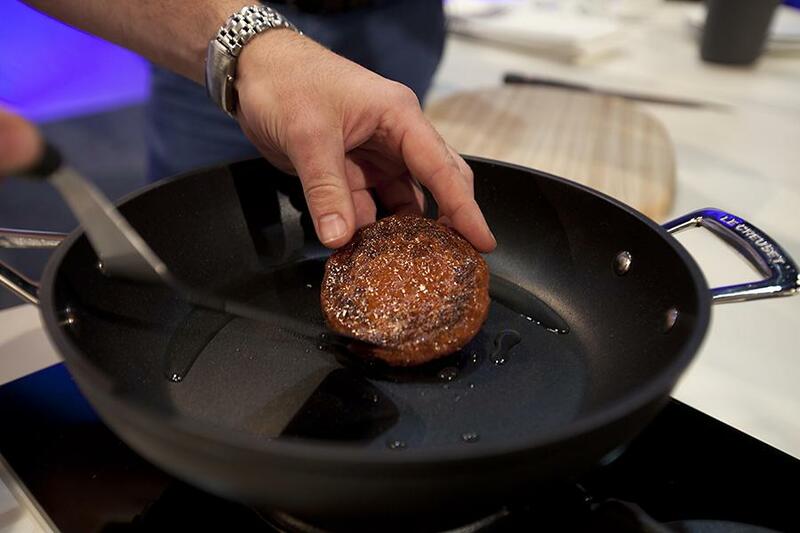 A Faunalytics article offering six top tips for talking about clean meat provides helpful insights and guidance, based on both internal and external research, to support our discussions with the public. By approaching the topic of clean meat in an informed and unbiased way, we can meet people where they are — especially those who are not yet willing to consider a 100% plant-based diet — and provide them with the information they need to make informed decisions about their food choices. How that information is received by our audience depends heavily on the language we use. This includes how we communicate about our food choices. Read more about the language we should use to discuss clean meat. This innovative food technology recently inspired a conference devoted to the subject. On September 6–7, The Good Food Conference brought together a diverse community of organizations and individuals from both the plant-based and clean meat industries. This two-day event, organized by The Good Food Institute and held in Berkeley, California, was host to an impressive program of world-class speakers and innovators and covered the subject comprehensively, from the science of clean meat to the benefits, public acceptance, scale-up and commercialization, policy, and more. Materials from The Good Food Conference will be made available soon at www.goodfoodconference.com. We highly recommend checking out the proceedings and using the insights they provide to inform your activism. “We face many global threats today, but one powerful and simple solution is staring us right in the face: plant-based and clean meat. It’s time for the governments of the world to get on board and help improve the future for current and future generations.” – Bruce Friedrich, Executive Director of The Good Food Institute on addressing world hunger, environmental degradation, human health, and animal welfare. The Good Food Institute (GFI) is a nonprofit organization that promotes alternatives to industrial animal agriculture; working with scientists, investors, and entrepreneurs to develop clean meat and plant-based alternatives to animal products that are better for the environment, reduce animal suffering, and benefit human health. For an excellent description of clean meat and plant-based meats, watch this short video from The Good Food Institute.